The concert schedule for the Spokane Symphony's 73rd season — the final for music director Eckart Preu — was announced today. The 2018-'19 season includes 10 classics concerts and six pop concerts, as well as several special events. Preu is scheduled to conduct five of the classics concerts (Nos. 1, 3, 4, 5 and 10). Each of the five finalists to take his place will conduct the others. The finalists are Arthur Arnold, Rei Hotoda, James Lowe, Morihiko Nakahara and Jayce Ogren. Concert tickets go on sale Aug. 17 to the general public, but subscribers to the Spokane Symphony packages can purchase them now. 1. The Bohemian Spirit, Sept. 8 and 9, featuring Bedrich Smetana's Ma Vlast, Beethoven's Piano Concerto No. 3 (performed by Washington state native Charlie Albright) and Antonin Dvorak's Symphony No. 7. 2. The Red Violin, Oct. 6 and 7, featuring Tan Dun's Symphonic Poem of 3 Notes, John Corigliano's "Chaconne for Violin and Orchestra" and Pyotr Tchaikovsky's Symphony No. 5. Elizabeth Pitcairn, owner of the 1720 Red Mendelssohn Stradivarius violin, or the Red Violin, will be guest performing. 3. The Heroic, Oct. 20 and 21, featuring Lilian Elkingto's Out of the Mist, Mozart's Piano Concerto No. 21 and Beethoven's Symphony No. 3, "Eroica." Pianist Alon Goldstein is the guest soloist. 4. Sibelius and Brahms, Nov. 3 and 4 featuring Jean Sibelius' Finlandia, Johannes Brahms' Opus 25 and Sibelius' Symphony No. 3. 5. Dvorak and Rachmaninoff, Jan. 19 and 20, featuring Antonin Dvorak's Violin Concerto (performed by Spokane Symphony Concertmaster Mateusz Wolski), Miguel del Aguila's Chautauquan Summer and Sergei Rachmanioff's "The Bells." 6. Passion's Pursuit, Feb. 16 and 17, featuring Zhou Tian's Rise, Franz Liszt's Hungarian Rhaspody No. 2 and Concerto No. 2 in A Major and Brahms Symphony No. 4. 7. Korngold and Shostakovich, March 9 and 10, featuring Aaron Jay Kernis' Musica Celestis, Erich Korngold's Violin Concerto and Dmitri Shostakovich's Symphony No. 8. 8. French Mystique, March 23 and 24, featuring Francis Poulenc's Les Biches, suit for orchestra, Camille Saint-Saëns' Violin Concerto No. 3 and Bela Bartók's Concerto for Orchestra. 9. Russian Virtuosity, April 13 and 14, featuring Samuel Barber's Second Essay, Sergei Prokofiev's Symphony Concerto and Modest Mussorgsky's Pictures at an Exhibition. 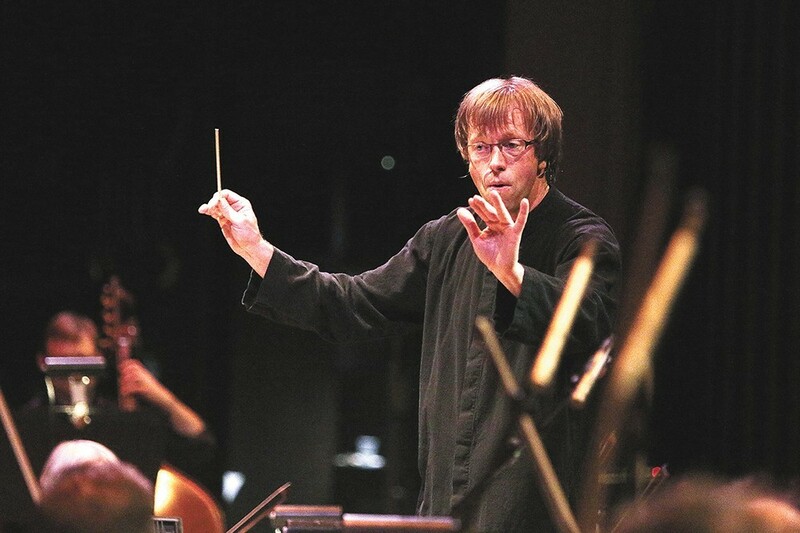 Cellist and guest soloist István Várdai will play Prokofiev's Symphony Concerto, which was at one time considered "unplayable," according to a news release from the Spokane Symphony. 10. Eckart's Farewell, May 4 and 5, featuring Joseph Boulogne's Overture to L'amant anonyme, Nebojša Jovan Živković's Concerto of the Mad Queen and Richard Strauss' Apline Symphony. The Pops concerts feature performances by ABBA The Concert, Michael Cavanaugh in "The Music of Billy Joel," and Pink Martini, with backing from the Spokane Symphony. Special concerts this season include Haunted Hallows: The Music of Harry Potter, The Nutcracker Ballet and Beethoven's Ninth on New Year's Eve. And the Fox Family Series is back for a second year with Recycled Percussion (featuring instruments made from almost anything), Crique Zuma Zuma (featuring aerial acts, Egyptian limbo dances South African gumboot dances and more) and That Physics Show.